MediaWorks is delighted to announce that Heather du Plessis-Allan and Duncan Garner and will host Story, MediaWorks’ new current affairs show at 7pm. Story will be a smart, fun and thought-provoking show that will lead the way in daily current affairs. MediaWorks Group Head of News, Mark Jennings says: "Duncan and Heather are two of New Zealand’s top journalists. They will be a formidable team at 7pm. Story will focus on the issues that are relevant and important to all New Zealanders. We will be looking for the best stories, the most interesting stories and the stories New Zealanders are talking about." Duncan Garner says: "'I see this as a great chance to be part of a programme that will reflect our country and our lives - no matter where we live. I expect us to have fun, to laugh, to entertain and to tell your stories. And when those in power in Wellington, or in your own community, make bad decisions, mislead you or are hypocrites, I promise - you can rely on us to keep them honest - simple." I have known Heather for a long time and she is a very talented reporter and broadcaster … worryingly we have similar sense of humour! 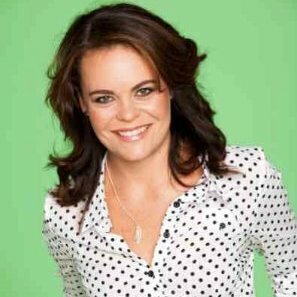 Heather du Plessis-Allan says: "I am excited to be a part of this new chapter for TV3. Duncan is one of the best journalists around so I’ stoked to be able to learn from him. But Duncan, if you’re reading this; don’t let it go to your head. I’m not your sidekick. In fact, they told me, you’re my sidekick." Mark Weldon, Mediaworks CEO, says: "Heather and Duncan are two of the most engaging and talented journalists in New Zealand. Together they represent a major investment by Mediaworks in the future of current affairs leadership in New Zealand." Story will be simulcast on RadioLIVE.